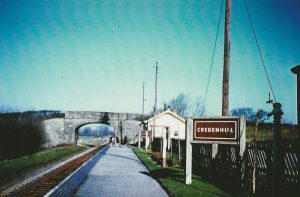 Credenhill has some excellent footpaths, details can be found on Herefordshire Councils interactive footpaths map you will need to change the layers to show footpaths and then type Credenhill in the map search and select Settlement of Credenhill. Credenhill Park Wood is managed by the Woodland Trust, as well as footpaths there are Geocaches in the wood that will keep little ones entertained while on your walking. Don’t forget to visit during the Bluebell season! Download Maps for Credenhill Park Wood.